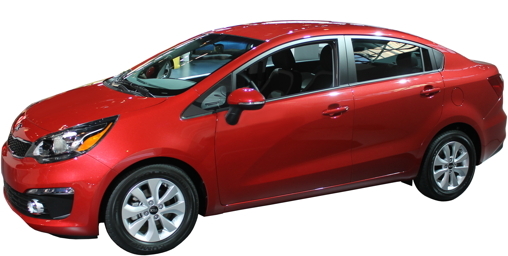 A new base model is slotted below the Premium and Limited. The Premium now has a standard power moonroof, leaving the base as the only one without. 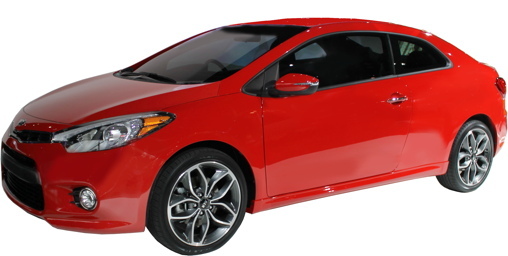 Also missing: power-folding side mirrors, rain sensing wipers, paddle shifters, rear parking assist system, and UVO eServices (access smartphone apps through the stereo system). 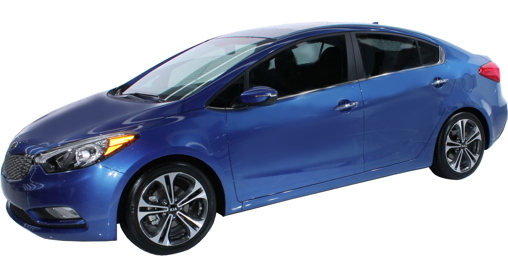 Base models don't offer memory driver's seat, ventilated from seats, heated rear seats, advanced cruise control, blind spot monitoring, rear cross traffic warning, or lane departure warning. 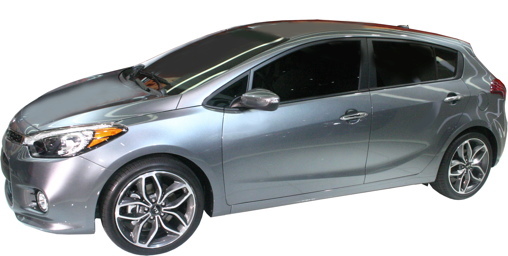 An entry-level LX trim is added, coming in almost $1000 cheaper than the EX, though only $265 less than last year's EX. 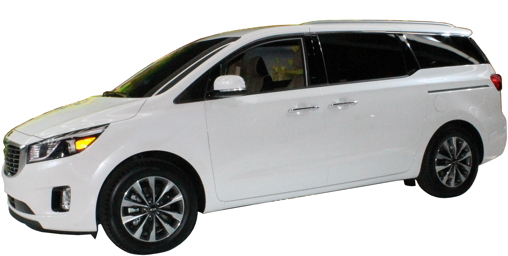 The LX loses power-folding mirrors, LED positioning lights, automatic front passenger window, auto up driver's window, and will not offer Smart Key, heated seats or dual-zone automatic climate control. Remote keyless entry is now standard on all models. Manual transmission no longer offered on EX model. Still available with the turbocharged SX. Compact spare tire is eliminated, replaced with a tire mending kit. High-intensity discharge headlights no longer offered on EX sedan. Automatic headlight now optional on LX. 17-inch wheels optional last year on EX now standard. No other changes: still one of the least expensive cars you can get with heated and ventilated front seats, heated rear seats and a heated steering wheel. An all-new aluminum 3.8 V6 with 311 horsepower and 293 lb.-ft. of torque replaces the previous aluminum 3.8 V6 with 311 horsepower and 293 lb.-ft. of torque. The fuel mileage does change, inexplicably going down by one MPG city and highway (17 city/26 highway). A Smart Power Trunk is new, allowing the driver to open the trunk by waiting with the key in his possession. 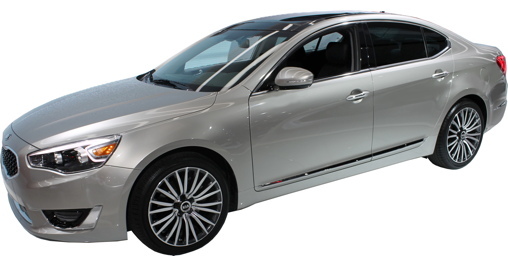 The Around View Monitor is now standard on the V8 and is also now optional on V6 Luxury (a new trim level for V6). 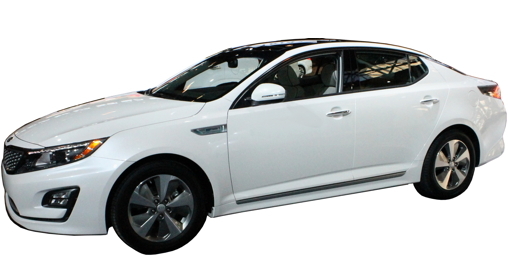 The new 2016 Optima s slightly longer, taller and wider than the 2015. Two of the previous engines carry over, but it gets a new 1.6 turbo with a 7-speed dual clutch automatic, borrowed from the Sonata Eco. 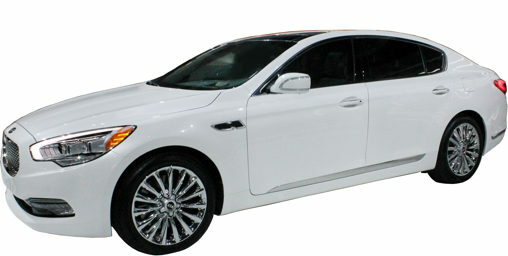 On the Optima it will be equipped in the LX Turbo model, one step up from the base LX. 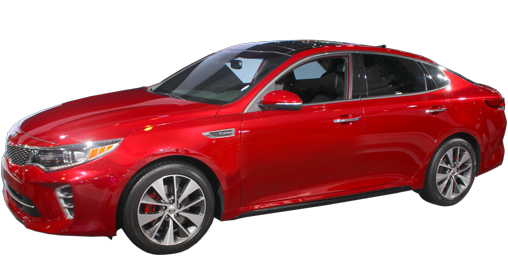 Although borrowing heavily from its sister car, the Hyundai Sonata which was revamped last year, the Optima gets the jump with available Autonomous Emergency Braking, making it eligible for the IIHS "Top Pick Plus" award. Lane Departure Warning is also new for 2016, optional on SX and SXL. 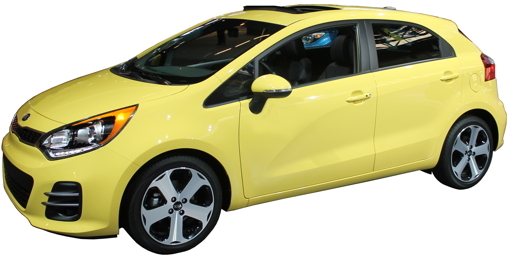 The Rio gets a freshened look with new air intakes front and rear bumpers. A new interior completes the changes. Navigation and Smart Key are now standard on SX, instead of optional. Leather heated seats are now standard on SX Sedan. 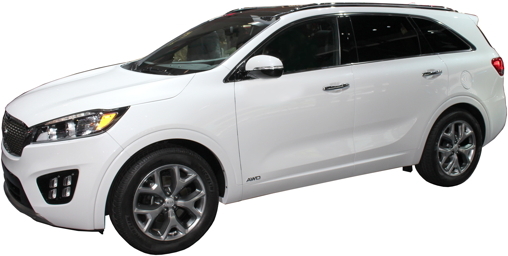 Kia's minivan was all-new for 2015, sporting great new sheet metal, a powerful engine and lots of safety features. 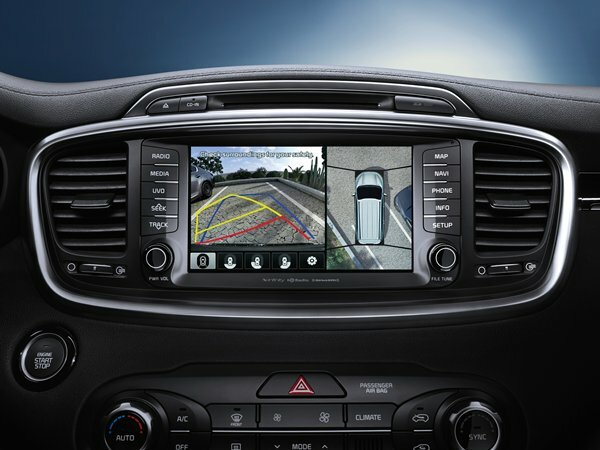 For 2016, a rearview camera is now standard on all trim levels. The rear sonar that was standard on all trims is now only standard on EX, SX and SXL, optional on LX. Front-mounted sonar sensors are standard on SXL, still, now optional on SX. Automatic headlights, standard on EX, SX and SXL last year, are now standard on all trims. Forward Collision Warning System and a Smart Cruise Control that can maintain a set distance to the car in front is now available on SXL and SX. Heated steering wheel standard on SXL now also optional on SX. 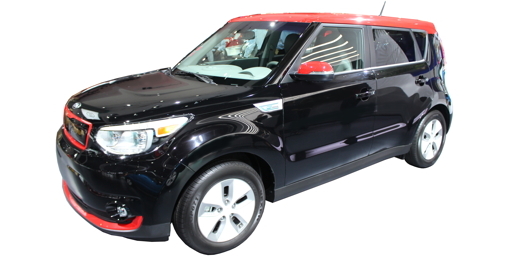 Forward Collision Warning and a Lane Departure Warning system are now available, part of a new Premium Package available on Soul !. Automatic headlights now offered on Base. 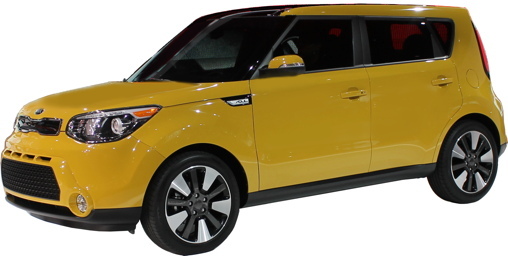 The Soul+ can be made more stylish with the new "Designer's Package," including 18" Alloy rims and two-tone paint. Cruise control has been made an extra cost option on base models. 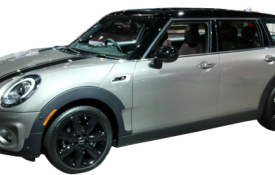 New, lower priced Soul EV-e trim introduced: Loses Navigation, UVO EV Services, climate scheduling (you can tell the car when you're coming back and it will heat the interior while plugged in), and rear camera. 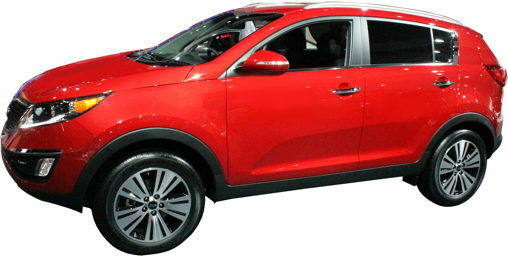 The High-Intensity Discharge headlights are no longer offered on Sportage. Smart Key now standard on EX. Ventilated seats now standard on SX, still optional on EX. Leather seats standard on EX.